These dog toys tips and buying guide will not only help you choose the best plaything for your Mini Schnauzer but keep him safe too. Having a good selection of toys for your dog to play with (including chews, plush animals, rope toys, and food treat games) is important so your dog does not get bored with the same ol' same ol'. Toys are an important part of ever dog's day to day life. They help release a dog's pent-up energy, keep him entertained, provide him mental stimulation, and much more. And the good news is there is no short supply of great pet toys on the market. Before you run out to a pet super store and spend a bunch of money, think about your dog's activity level, personality and temperament. Is your Miniature Schnauzer more aggressive or gentle? Some Schnauzers are very easy on their toys while others rip them apart. Just knowing this information will go a long way in helping you make the best choice for your dog. • Make sure it's not too small. Small toys can become lodged in your dog's throat or can even be swallowed whole. This could cause choking or intestinal problems which could require surgery! Best rule of thumb when determining the appropriate size toy for your dog: If it can fit down the tube opening of a roll of toilet paper...it’s too small. • Make sure there are no parts that could easily detach. If so, go ahead and remove them now so your Miniature Schnauzer does not ingest them/ This includes things like ribbons, strings, adornments, plastic eyes, and so forth. 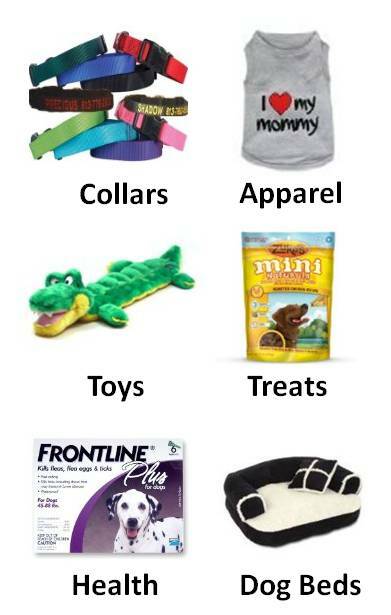 • Avoid buying your dog toys that are really made for children. Sometimes they may be cheaper but many of these products contain unsafe fillings and/or parts that could be dangerous to dogs. 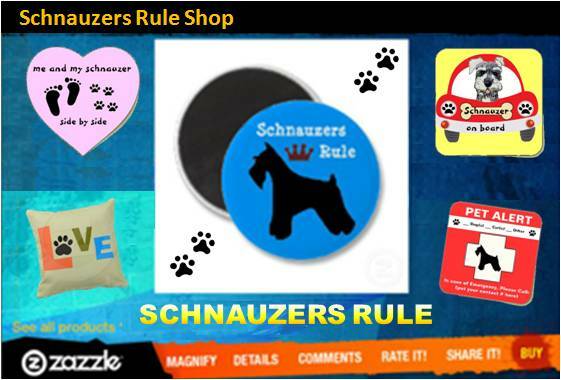 •Soft plush toys with squeakers are a favorite amongst Schnauzers. Just make sure your dog doesn't try to de-stuff it. And keep in mind soft plush dogs that have sound boxes and batteries can be dangerous if your dog is too rough with the toy and obtains access to these parts. Best tip for aggressive chewers: durable hard rubber toys. Dog toys should be both fun and safe. Always supervise & monitor your Miniature Schnauzer during playtime. Inspect toys on a regular basis. Once it begins to fray or break down in any way, just throw it away. It's not worth keeping. You would only be asking for trouble and taking a big risk with your Miniature Schnauzer's safety which could end up with an expensive trip to the Vet. Keep a variety of different types of toys so your Miniature Schnauzer does not become bored. Choose from interactive toys, chew toys lik Kongs, plush toys, and puzzle toys like the Hide-A-Squirrel Dog Puzzle. Dogs and puppies alike love to chew on things and that's why dog chews and bones are so popular. Even veterinarians recommend long-lasting dog chews for reducing plaque, bad breath, and to relieve boredom in dogs. However are they safe for your dog? The truth of the matter is, no dog bone or dog chew toy is completely safe. Several reported incidents (some even fatal) of gastrointestinal upset, blockage, tooth fractures, and choking have occurred in dogs using these type of products. Ingredients - Don't assume the ingredients are safe. Some ingredients listed on certain dog chews and bones have been known to cause stomach upset and diarrhea. Read the label and be on the look out for gluten, chemicals, and other known ingredients that are harmful to dogs. As a responsible dog owner, all you can do is be aware of the dangers, choose products you feel are best for your own dogs, and supervise! Amazon has a great selection of dog toys and other great pet supplies. They make it so easy to get everything you need with the ease of shopping on line. Just click on item above to get more info or use the search field below to find exactly what you're looking for. Knowledge Share... If you found this page on Dog Toys Tips helpful and informative, please share it with your dog-loving friends by clicking on one of the share links (like facebook, twitter, and google +1) located at the top right or bottom of this page.